Luxury 5 bed pool home in Kissimmee minutes from Disney! Imagine spending your vacation in a LAKEFRONT Luxury home. Lake Star Villa is perched on the tranquil banks of Star Lake, offering over 3100sf of elegance and privacy and filled to the brim with luxury upgrades. With a pool area designed with both privacy and fun in mind, along with a very well equipped game room, Lake Star Villa IS a destination unto itself. Bicycles, Billiards, Foosball, Board games and video games will provide your family with unlimited options to share quality together-time. When you and your family deserve the very best, this is the house for you. Lake Star Villa comfortably sleeps 12 including TWO MASTER SUITES! The Master upstairs Suite features a King size bed and a sitting area with a sofa bed. It’s the only room on the 2nd floor and gives you privacy and a sense of true serenity. The Downstairs Master Suite is very generous in both size and luxury upgrades. This master has its own access to the pool area and an oversized master bathroom. This master also has a sitting area perfect for catching up with work or the latest news. Also, downstairs you’ll find one queen bedroom with an adjacent bathroom. There are two twin bedrooms that share the fourth bathroom. All bedrooms have flat screen TV's. The family can spread out in the formal living room, OR the spacious family room that features a 60inch LED TV. The kitchen has countertop seating, with a formal dining room nearby. Everything is brand new and decorated by professional interior designers making this home stand out against the competition. This kind of attention to detail is designed to allow you to enjoy both the elegance and practicality of Lake Star Villa. The screened Pool and Jacuzzi looks out to the lawn which runs to the banks of Star Lake. You can enjoy the sun all day from one of the comfortable loungers and chairs. You may well choose to eat “al fresco” under the lanai. You’ll truly feel like you’re enjoying the quiet side of Florida as the lake is home to spectacular Sand Hill Cranes, as well as Egrets, Ducks and Terns. For the early birds, the back of the home faces the East so that you can watch the sun rise over the lake each morning as you sip coffee on the lanai. It’s here that you’ll pat yourself on the back for choosing this magnificent home. This is a beautiful home with every feature you could imagine, and pure luxury too. Reserve your dates now and add some peace and quiet to a hectic family vacation. The home was nice and clean, comfortabl and the location was awesome, The staff was very friendly even called us the morning after arrival to make sure we got in and see if we had any questions. Everything was excellent, the house was extraordinary so I really appreciate all coordination from you so that my family and me could spend an excellent week. Our thanks to the owner and we hope to return again. We very much enjoyed our stay at the Lake Star Villa during the last two weeks of February 2012. The home was exactly as described and was one of the many highlights of our trip. It is beautifully decorated, very spacious and comfortable, and suited the needs of our two families very well. The location provided easy access to both Disney and SeaWorld which were the primary attractions we took in. During our stay we travelled to both the Clearwater Beach and Cocoa Beach areas and both drives were just slightly more than one hour. I would definitely recommend your Villa and to anyone looking for a memorable vacation in the Orlando area. I would also like to thank Loyalty as your organization was very easy to deal with from when we booked the Villa to when we checked out. All of our needs were taken care and if we had any questions we just called or e-mailed and always got a quick response. Lake star was very comfortable especially the beds and cleanliness of the home, excellent attention to detail. Looking forward to next year, thank you for the quality time spent choosing a larger home for next year. We have just returned from 'Lake Star Villa' which we would highly recommend. We stayed with my brother and his family and we had so much space and quality of accommodation it really made the holiday. The rear of the villa overlooks a lake and facing east it was great to sit out and watch the sun rise each morning. 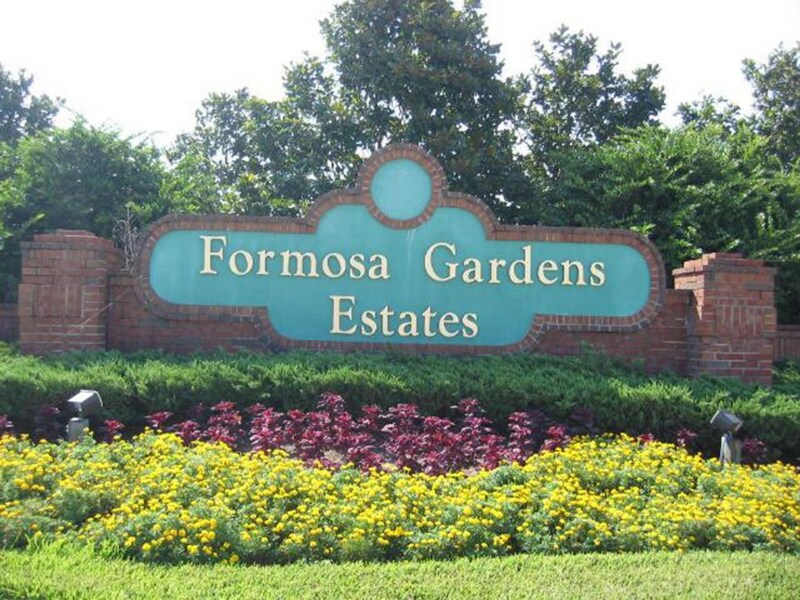 Formosa Gardens is an excellent location, close to shops restaurants and Disney. It is a secure gated community. This is the fourth consective year we have rented from Yvonne and Loyalty team and we have always been impressed. My other two brothers have also rented villas from Loyalty and been equally impressed.